Discover your inner voice; find your truth & sing it out loud. Sound is medicine & songs carry a message deeper than words alone. In this workshop, the intention is to set a safe and sacred container to express our hearts through song. Through a guided Cacao Ceremony, we will drop down from the head & into a heart space, communing with the spirit of Cacao. Cacao is a harmonizer, she harmonizes and balances the energies of the mind and the heart. Most often we find a block when singing because we are too much in our head, wondering what people might think or how we sound. In our Ceremony, after enjoying a delicious cup of Cacao, we will engage in vocal activation, and guided activities to allow us to drop any stories, or limiting beliefs that may have blocked us from our birthright as singers of this earth. As an earth creature, it is your divine right to sing. We will drop out of the mind stuff, and allow sound to move through us. When we are feeling connected to the earth, ourselves, and the circle, we will then share medicine songs, mantras, and original heart songs together in community. Sung in my little house parked in the mountains between Shasta & the sea. We are portals for heart energy. My heart is fierce. And my life is in a flow. Love is our Destiny, Original Music Written and Sung over beautiful Lake Atitlan. May the water hear our prayers. Songs are medicine, and carry an intention. This is a medicine Song I learned in Guatemala. I am honored to share the medicine with the intention of awakening to our infinite potential. We are made from sound. 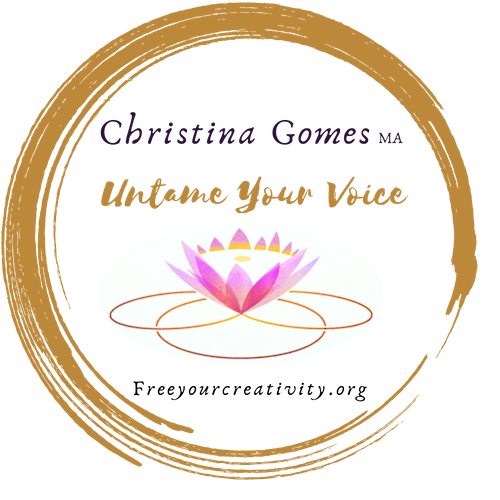 Sing to your energy body to activate and balance.